1.1 What is the Nature Index? 1.2 How will the Nature Index be of value to the researcher community? 1.3 How will the Nature Index be made available? 3.1 How have articles been selected for inclusion in the Nature Index? 3.2 Why is the Nature Index based on articles from 82 journals? 3.3 What data is held in the Nature Index? 3.4 How is article output counted? 3.5 Does the Nature Index include all articles from the selected journals? Are all articles treated equally? 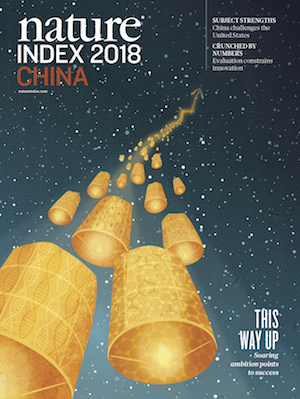 The Nature Index is updated monthly, and a 12-month rolling window (1 December 2017 - 30 November 2018) of data is openly available at www.natureindex.com under a Creative Commons non-commercial license. The Nature Index also releases annual tables of country- and institution-level calendar-year output back to 2015, as well as an archive of the annual tables released in previous years. How much high-quality scientific research tracked in the Nature Index is produced by my institution? How does this compare to other research organizations across the world/in my region/in my broad field? Which institutions make the biggest absolute contribution to high-quality scientific research tracked by the Nature Index globally/in my region/in my broad field? Which institutions and countries are collaborating with each other in high quality research, what is the strength of their collaborations and how is that changing over time? The Nature Index will also provide institutions with an easy means to identify and highlight some of their best scientific research. The Nature Index provides a perspective on high-quality research on the basis of published articles. It is intended to be one of a number of metrics to assess research excellence and institutional performance. It is not intended to be definitive, and our expectation is that it will be used in concert with other measures and tools. The Nature Index database is updated monthly. A 12-month rolling window of data, as well as country- and institutional-level tables of calendar-year output, are organized and made available under a Creative Commons Attribution-NonCommercial-ShareAlike 4.0 International License (CC BY-NC-SA 4.0) at www.natureindex.com. Publications that analyse and interpret Nature Index data over a given period of time or for a given region are produced and distributed with Nature. The Nature Index is primarily a free database of author affiliation information that reveals global publication and collaboration patterns. Once a year, Nature Index releases a set of country- and institutional-level tables based on counts of high-quality research outputs in the previous calendar year. It is important for users to understand that these tables are based on a relatively small proportion of total research articles, that they cover the natural sciences only, and that outputs are non-normalized (that is, they don’t reflect the size of the institution or country, or its overall research output). We encourage users to combine the free-to-access Nature Index data with information from other sources. The Nature Index website presents a 12-month rolling window of data. The window includes primary research articles from the Nature Index journals that are published in their final form during the 12-month period. The window is updated on a monthly basis. The date range is displayed in the top-right corner of all pages. The annual tables are based on calendar-year output in the Nature Index journals. These are released annually and are based on output from 1 January to 31 December of the previous year. You can search for a specific institution or country from the Nature Index homepage. Begin typing your query in the search box to generate a list of suggested institutions or countries. Select the institution or country. A Research Profile page will be generated that lists research outputs within the current 12-month date range by article count (AC) and fractional count (FC) (see Section 3.4). Research outputs are organized by subject area. Click on the subject area to drill-down into a list of outputs organized by journal, and then by article title. Click article titles to display article-level information including complete affiliation details, altmetric.com data and links to the version of record on the publisher’s website. Selecting the Collaboration Profile page displays the institution’s or country’s patterns of publication collaboration, including a list of top collaborators. You can generate a table of institutions ordered by research outputs. Click on the ‘Institution outputs’ window on the Nature Index homepage. Using the drop-down menus, choose the region or country of interest, filter by subject area or journal group, and select the sorting method. Tables can be re-sorted by clicking on the column headings. The order of output of institutions can differ significantly depending on the measure used to order them (AC or FC). There are many factors determining an institution’s output. The size of the institution is a major factor as is the composition of research specialities within an institution. The Nature Index does not attempt to normalize data for such factors. Rather it presents raw data that can be used as a basis for analysis. You can generate a table of countries ordered by research outputs. Click on the ‘Country output’ window on the Nature Index homepage. Using the drop-down menus, choose the region of interest, filter by subject area or journal group, and select the sorting method. The Nature Index includes primary research articles published in a group (n=82; see Section 4.0) of high-quality science journals. The journals included in the Nature Index are selected by a panel of active scientists, independently of Nature Research. The selection process reflects researchers’ perceptions of journal quality, rather than using quantitative measures such as Impact Factor. It is intended that the list of journals amounts to a reasonably consensual upper echelon of journals in the natural sciences and includes both multidisciplinary journals and some of the most highly selective journals within the main disciplines of the natural sciences. The journals included in the Nature Index represent less than 1% of the journals covering natural sciences in the Web of Science (Clarivate Analytics) but account for close to 30% of total citations to natural science journals. 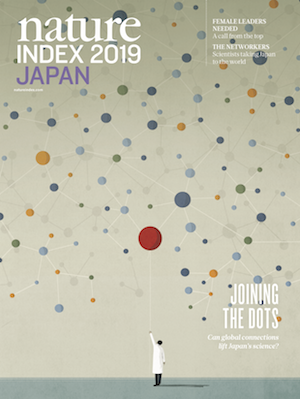 The composition and total number of journals included in the Nature Index is reviewed on an ongoing basis, with the latest list of 82 journals expanded from 68 journals in June 2018 (see Revisions to the Nature Index). The researcher panels who selected the journals have aimed initially for fewer than 100 titles — enough to provide inclusivity of many disciplines but sufficiently selective to ensure that the journals truly reflect the upper tiers of research achievement as judged by peers. The 68 journals included in the first release of the Nature Index represent less than 1% of the journals covering natural sciences in the Web of Science (Clarivate Analytics) but account for close to 30% of total citations to natural science journals (see Introducing the Index). The composition and total number of journals included in the Nature Index is reviewed on a regular basis, with the current revised list of 82 journals released in June 2018. The revision and expansion of the Nature Index journals encompasses a number of changes since the original release, including better representation of each of subjects covered in the nature index (4-5% of articles in the Web of Science) and the inclusion of new journals that were not available when the index was first released. For more information on the selection of Nature Index journals, see Revisions to the Nature Index. The Nature Index database captures all affiliation information of primary research articles published within the selected journals, plus links to the abstracts of those articles, and stores whole article counts and fractional article counts (see Section 3.4) for each article. Sitting behind the snapshot of data published on the website is a database containing the English names, local language names and acronyms of the 90,000+ institutions and 9,000+ parent institutions associated with articles tracked by the Nature Index. Article count (AC): where a count of one is assigned to an institution or country if one or more authors of the research article are from that institution or country, regardless of how many co-authors there are from outside that institution or country. Fractional count (FC): that takes into account the percentage of authors from that institution (or country) and the number of affiliated institutions per article. For calculation of the FC, all authors are considered to have contributed equally to the article. The maximum combined FC for any article is 1.0. The ratio of AC to FC gives an indication of the degree to which an institution or country collaborates in its research. Broadly speaking, if the AC is a lot higher than the FC it indicates a high degree of external collaboration and dependency on external resources. If the AC is close in value to the FC it indicates limited collaboration with external researchers and a strong dependency on internal resources. Only primary research articles from the selected journals are included in the Nature Index. For a small number of large physics journals only primary articles identified by the journals as having higher importance, more urgency or more interest for the community are included: notably, articles classified as ‘Highlighted articles’ or ‘Rapid Communications’ from Physical Review A, Physical Review B and Physical Review D; and articles classified as ‘Letters’ from Astronomy and Astrophysics. The Nature Index search function enables you to find the results for a specific institution among the 9,000+ parent institutions tracked by the Nature Index. Great care has been taken to disambiguate institutional names and to aggregate the multiple versions of names for the same institution that can occur. Furthermore, every effort has been made to include all affiliated institutions within larger institutional organizations and, where possible, a breakdown of those component institutions is also given. We are open to suggestions of ways to improve presentation of complex institutions and their affiliations. Academic: An academic institution is an educational institution dedicated to education and research, which grants academic degrees, such as universities. Corporate: A corporation is a company or group of people authorized to act as a single entity (legally a person) and recognized as such in law with the goal to earn profit. (Independent) consultants are also considered as corporate. Government: A government funded organization whose primary mission is the performance or promotion of basic research and/or applied research. Healthcare: Health care (or healthcare) is the diagnosis, treatment, and prevention of disease, illness, injury, and other physical and mental impairments in human beings. Nature Index uses the United Nations' International Standard Industrial Classification as a basic framework for defining the institutions in the healthcare sector. The UN categorizes health care as generally consisting of hospital activities, medical and dental practice activities, and "other human health activities". The last class involves activities of, or under the supervision of, nurses, midwives, physiotherapists, scientific or diagnostic laboratories, pathology clinics, residential health facilities, or other allied health professions, e.g. in the field of optometry, hydrotherapy, medical massage, yoga therapy, music therapy, occupational therapy, speech therapy, chiropody, homeopathy, chiropractic, acupuncture, etc. NPO/NGO: a non-profit organization (NPO) is an organization that uses surplus revenues to achieve its goals rather than distributing them as profit or dividends. Charitable organizations such as a foundation are a type of NPO. A non-governmental organization (NGO) is the term commonly used for an organization that is neither a part of a government nor a conventional for-profit business and are usually set up by ordinary citizens. Both NGOs and NPOs may be funded by governments, foundations, businesses, or private persons.